After 20 months of mobilizing, agitating and negotiating to green Facebook, the Internet giant has today announced its goal to run on clean, renewable energy. The clear message to energy producers from Facebook is: invest now in renewable energy, and move away from coal power. That's a status update we can all celebrate! Facebook's new datacentre: a renewable-powered friend? Tech blogs are abuzz with news that Facebook will build a datacentre in Luleå, Sweden, where it can use free cooling from the frigid local climate and be close to renewable hydro-power in the region. Facebook reaches over 750 million active users. Greenpeace Israel launches NoCoal.org.il website as part of the international Facebook Unfriend Coal campaign, with help from actor and broadcaster Michael Moshonov. Sustainability is certainly one of the talking points of tech firms these days, and cloud computing companies in the particular. Greenpeace volunteers in Sweden make a musical video message for Mark Zuckerberg. 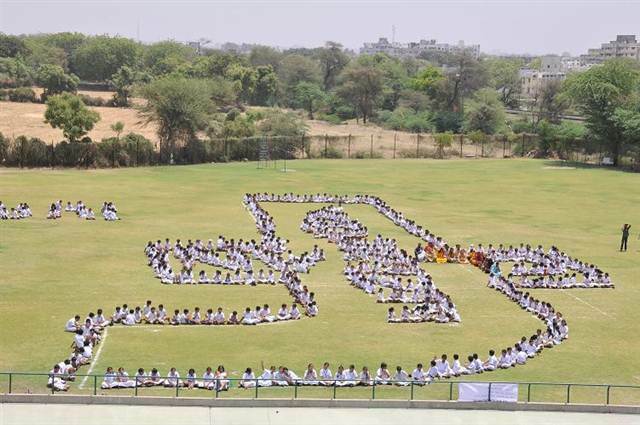 600 pupils from Delhi Public School in Ahmedabad, India, sit in a field in 38 C degree heat at 8:45am to send a massive poke to Facebook -- A 40 x 20 metre letter "f" with the words "clean energy" spelled out alongside. Greenpeace activists wearing Unfriend Coal T-shirts unfurl a baller at a the Piazza del Duomo in Milan, Italy, grab the attention of passers-by. Video (in Italian) from the action. Students at UNC Wilmington, North Carolina, have some fun making this campaign video about Facebook's energy choices. In Austin, Texas, at the company's headquarters, Facebook users delivered their message directly to Facebook's staff. And back in North Carolina, at the site of Facebook's Forest City data centre students protest the company's energy choices. In the middle of all this, we release a follow-up to our 2010 "Make IT Green" report. "How dirty is your data?" is the first ever report on the energy choices made by IT companies including Akamai, Amazon.com (Amazon Web Services), Apple, Facebook, Google, HP, IBM, Microsoft, Twitter, and Yahoo, and highlights the need for greater transparency from global IT brands on the energy and carbon footprint of their Internet infrastructure. A campaigner reflects on the Earth Day Challenge and why it matters that Facebook goes green. Student volunteers add some some excitement to the morning commute for Facebook employees on their way to the company's headquarters in Palo Alto, always emphasizing that "GP hearts FB" but we still want it to go green. 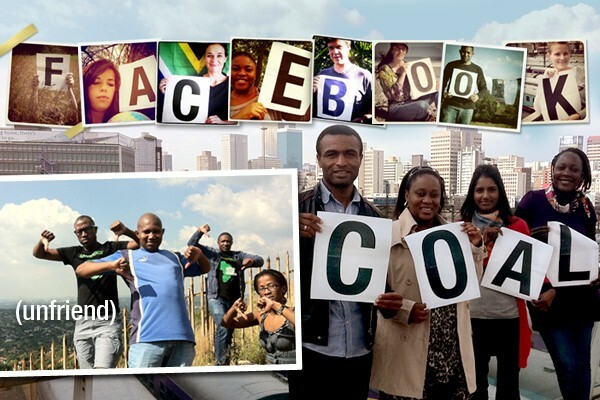 Greenpeace volunteers from Uganda, Senegal, Camaroon, Zimbabwe, and South Africa put this photo message together for Facebook. Greenpeace activists take a message directly to the Facebook EMEA headquarters in Dublin, Ireland, and speak with staff there about the company and the campaign. Staff were very friend to activists, and brought us tea and coffee! We just set a world record for the most comments on a single Facebook post in one day! Our supporters posted no less than 80,000 comments in at least eleven languages on our Facebook Unfriend Coal page in the past 24 hours. They take their renewable energy very seriously in Sweden where the Facebook Unfriend Coal campaign has taken on a life of its own. From beautiful photos to petitions to asking artists on tour to wear Unfriend Coal T-shirts during concerts, Swedish activists have put a lot of creative energy into this issue. In Stockholm, Facebook users stopped to take part in a photo petition. In Gothenburg, volunteers erected a small green teepee and the public gathered around to hear about the campaign and get photographed with a message for Facebook. In Norrköping, an artistic group spent two days painting a 3 x 25 meter mural message to Facebook on a wall in the city harbour. Our new Facebook Unfriend Coal ad appears on stations in California, and Greenpeace's video claims top spot in Google Search for "Facebook TV Ad" and "Facebook TV Commercial". 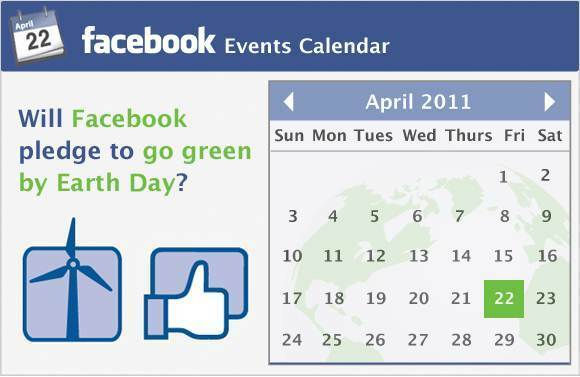 One year into the campaign, Greenpeace issues an Earth Day Challenge to Facebook. Photo petition (or, competition!) launched for everyone who wants Facebook to pledge to go green by Earth Day, and it's already chock full of images from supporters! Ed Begley Jr. and Rachelle Carson from the U.S. television series “Living With Ed”. Thousands of people begin posting messages directly to Mark Zuckerberg using Facebook, asking him to use green energy to run the website they love. Letter to Mark Zuckerberg from Kumi Naidoo, Greenpeace International Executive Director posted on our blog sparks comments discussion with Barry Schnitt, Facebook's Policy Communications Director. Greenpeace policy analyst Gary Cook joins the conversation here. Meanwhile hundreds of thousands of people enjoy our cartoon campaign video, launched the same month. Facebook, which started in a dorm room in February 2004, announces that it now has more than 500m users. Almost 500,000 of those users have joined Facebook Groups since February 2010, calling the company to go green. Greenpeace report "Make IT Green: Cloud Computing and its Contribution to Climate Change" released. 19 February. 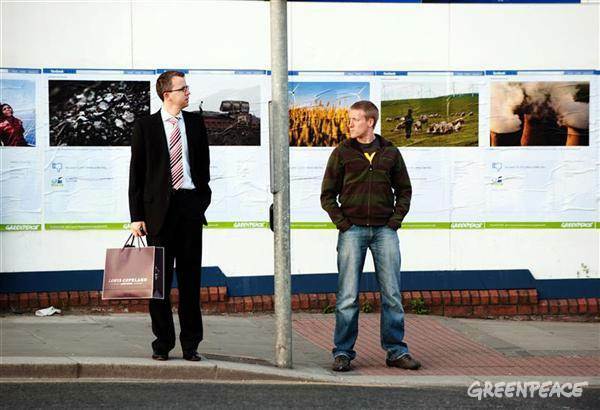 Greenpeace campaign to get Facebook off coal-power launches. Thousands of Facebook users join Facebook Groups in English and Spanish saying "we want Facebook to run on 100% renewable energy" and "Queremos que Facebook utilice 100% energía renovable". It is revealed that rather then use renewable energy available in Oregon and used by other major datacenters, Facebook's new data center is powered by coal. Rumours say that Facebook will build its first own Data center in Orgeon, USA. Got Facebook? Share your feelings about the campaign with a comment below. Did you participate? Talk about that too!